All Out Effort Blog: What's The Only Supplement I Need? What's The Only Supplement I Need? The original goal is to be healthy. Supplements can't fix a poor diet and lifestyle. That should be the top priority. There is mounting evidence that people's obsession with vitamins and supplements are dramatically hurting their health. Many supplements in fact have a host of dangers. People believe supplements can balance out an unhealthy lifestyle and that is just not the case. Which is why you should limit your consumption, get tested for deficiencies, and only take what is essential. More than anything else, the greatest threat to our health is inflammation. A lot of supplements are trying to give you extra good things; fish oil on the other hand directly deals with our biggest threat and mitigates it. That's what supplements are supposed to do, not solve or cure, but to supplement and mitigate. Anti-oxidants are nice, so are vitamins. What we really need is something that will lower our inflammation because even with a healthy diet, inflammation is nearly impossible to avoid in the modern world. Q: How do omega fats help us? Omega-3 has positive metabolic effects, but more importantly improvements in brain, heart, joints, and hormone functions as well. The brain's cell wall is, in part, composed of omega-3 fatty acids and is a reason why omega-3 fat is good for the brain. Q: If omega-3 is what we need why does it need to come from fish? Q: So what kind of fish oil? Purity is key. Your fish oil should be free of soy (including lecithin), dairy, wheat, rice, sweeteners, or artificial ingredients. Look at the EPA and DHA serving which is far more important than total fish oil amount. 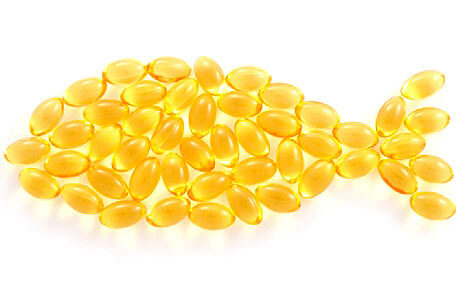 It may say 1,000 mg of fish oil but a very small amount of it may be omega-3 in the forms of EPA and DHA. Mercury shouldn't be an issue if the fish oil was harvested from small fish. Most high quality fish oil are tested to ensure that any mercury or other metals are below detectable levels. Herring, anchovies, sardines are the best. Look for wild caught fish, not farmed. Natural fish oil absorbs better than purified. The more natural the structure of the fish oil the better it absorbs. Look for a Certificate of Analysis (COA) or see if the manufacturer provides one. If not be suspicious. It is the standard for purity. It's done by an independent third party. There are many supplements, not just fish oil that show you lab studies, the problem is the studies have been done by their own labs. There are a whole host of problems when it's not done independently. The COA is a sign that they were willing to put their goods to the scrutiny of a third party. Omega-3 fatty acids are susceptible to damage. Meaning it can become rancid easily. Break open a capsule, see if it smells fishy. It should smell like the ocean not like rotten fish. Don't freeze your pill, turning cloudy proves nothing about if it's rancid or not. All fish oil turn cloudy. Natural triglyceride form has highest absorption rate. It is the closest thing to eating the fish oil in its natural form. Being wild caught and sourced from a clean area is very important. Fish oil is best absorbed with a meal, preferably a very fatty meal (good fats of course). Q: Why not krill oil? Triglyceride form. Comes arctic cod (cleanest fish). Wild caught. More potency, so you get more omega-3 per pill than cheaper brands. No gluten, milk, artificial flavors, or colors. Exceeds IFOS, CRN, GOED, WHO, Prop 65 and EP standards and provide a COA upon request. Many store brands will never reveal where their fish was sourced. Nordic Naturals is also regarded as the highest quality in supplements and fish oil. More expensive but my favorite and best potency per pill. If you're only taking one supplement and that's it, you don't need to skimp. Take the money you would have spent on all the other supplements and get a better fish oil. Natural and the most bio-available form of vitamin D. The US always ranks high in vitamin D deficiency. Low vitamin D is a cause of a host of health issues. Vitamin K is necessary to tell vitamin D where to go and how to be utilized.